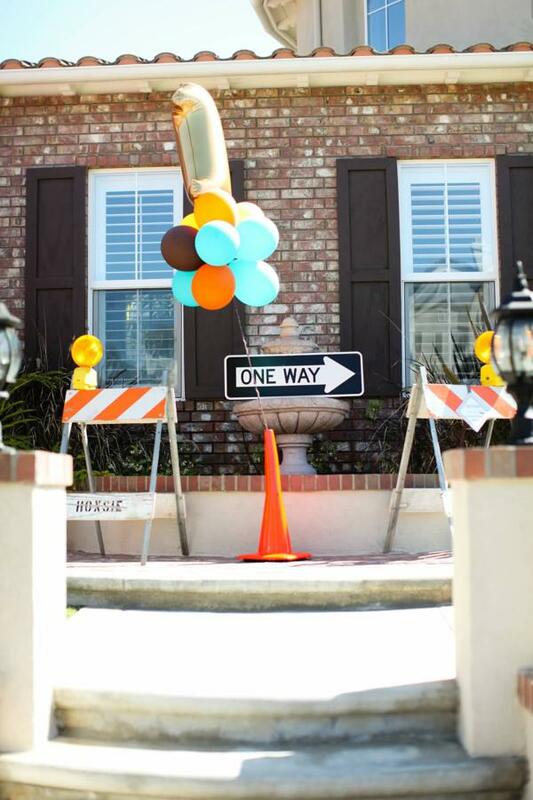 You can get a number of Home Depot supplies (often for free) that add to the decor of your party. 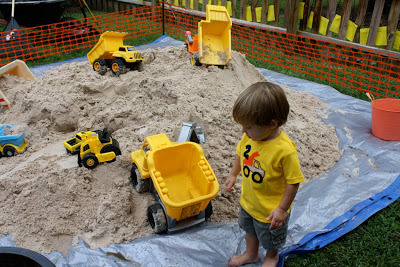 Make your own activity station equipped with an epic sand pit and all sorts of diggers. 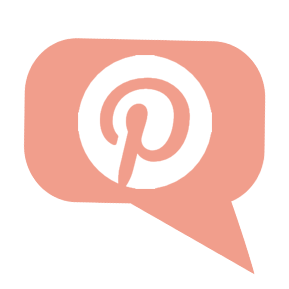 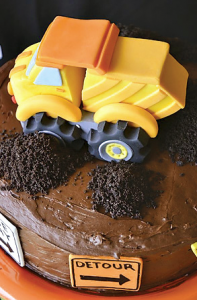 Utilize old work zone construction equipment for your party decor. 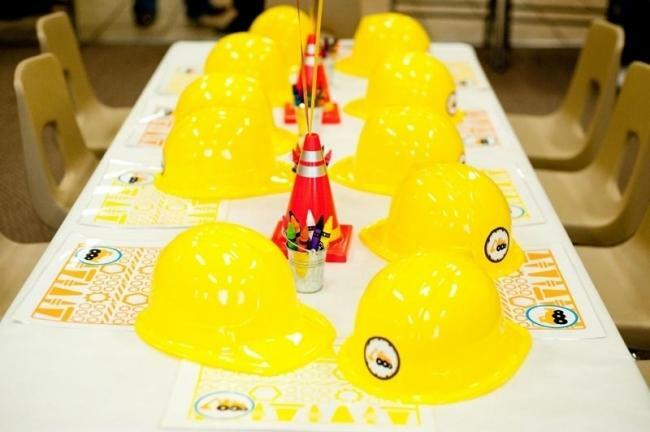 Instead of gift bags, send each kid home with his own crew hat. 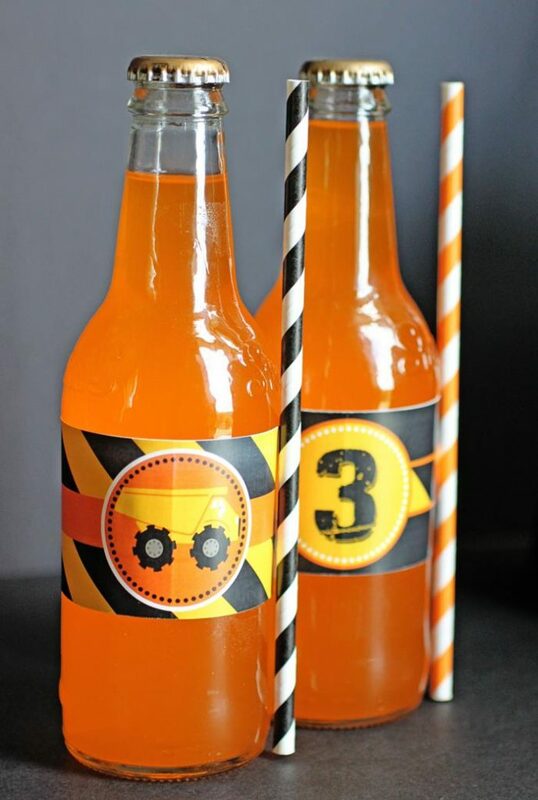 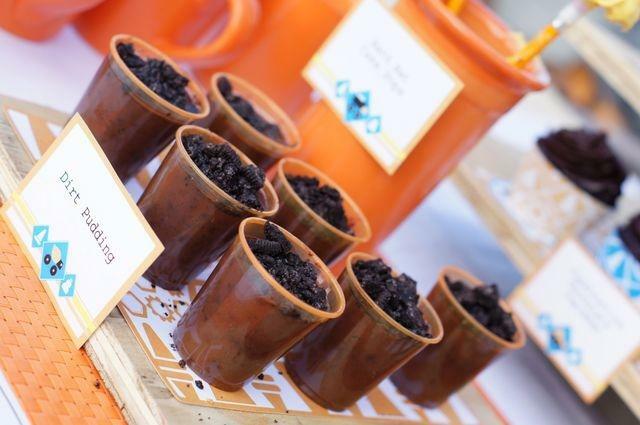 Anything orange will add some color to your construction themed party. 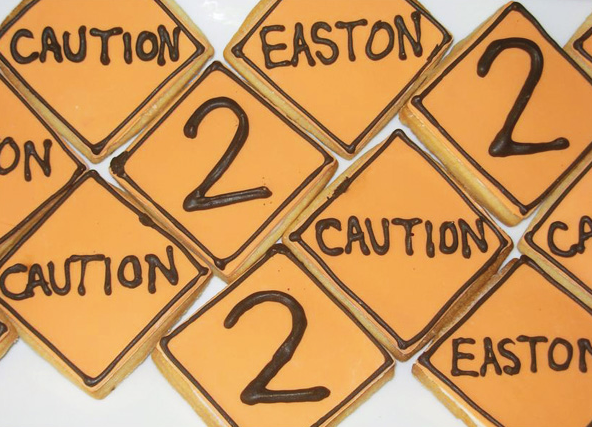 Customize your own party cookies with these caution sign shapes. 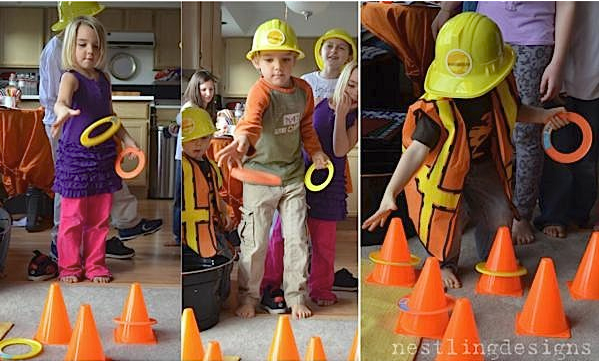 Toss rings onto construction cones to find the winner!